Iran has been in the news quite a bit lately in a scary, sabre-rattling way. 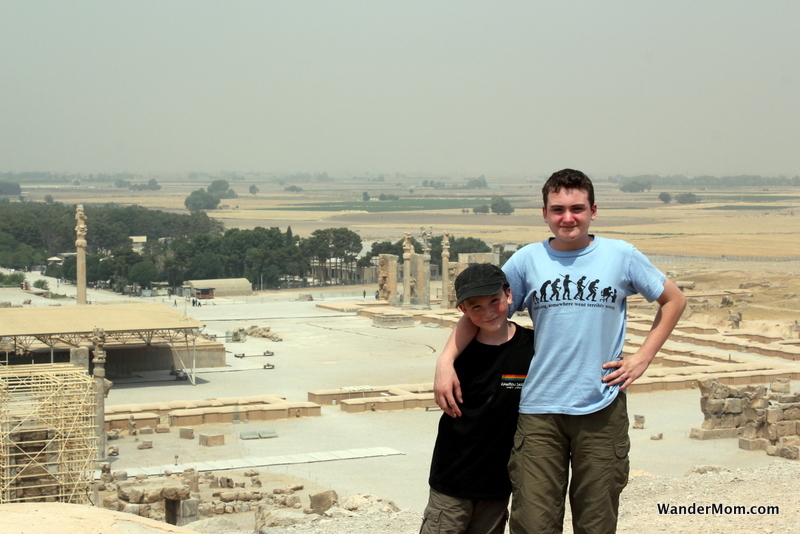 I’m posting this view of my kids up on the hill above Persepolis, the ancient capital of Persia, smiling in the sun. When we just hear the geopolitical opinions about any country in the media it’s easy to mentally flatten the diversity of people and history of place into a one-dimensional ‘good’,’bad’,’friend’,’enemy’ descriptor. Pictures like this help me remember that every country has it’s own history, something which is important to the people that live there and that those ordinary people live ordinary lives wanting the best for their children, to be able to work at their chosen profession and relax and have fun sometimes. 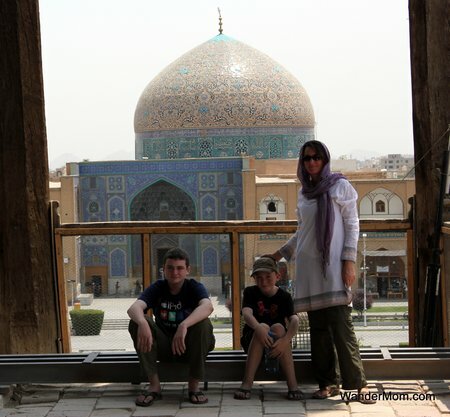 This entry was posted in Iran and tagged Iran, Persepolis, Photo Friday on December 19, 2011 by wandermom. It was almost 11pm at night when Murph and I left the tiny ticket office on the main street in Sanandaj, Iraq. We walked back out into a throng of people still bustling about doing their shopping in the warm evening. (These things are related by the way, in Iran in July it’s so ferociously hot in the middle of the day that people shift their daily activities to much later in the day). In such crowds you’d think we’d have had to push our way through and that conversation would have been impossible. That would be incorrect. 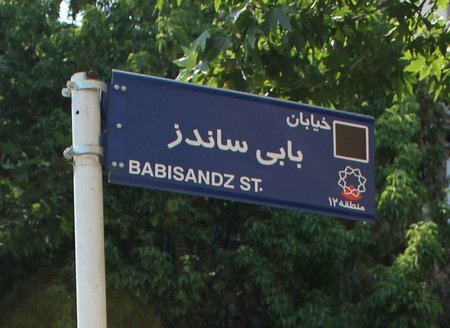 On the streets of Sanandaj, in Iranian Kordestan, to be a Westerner walking down the street is so unusual that everywhere we went everyone stopped and stared. Where we walked the crowds parted in front of us and we got to keep on chatting normally. It made me feel like a movie star every time. Murph was grinning in a way that would have put the Cheshire Cat to shame. “It’s going to be great, I’m telling you. We’ll be fine. And you didn’t want to go back to Tehran anyway”. I started to mentally list the potential problems we could encounter on our way from Sanandaj to Al Suleymaniah in Iraq: we didn’t have visas for Iraq, we didn’t know the route the bus would actually take, we didn’t know anything about the border crossing, there was a war…. I stopped. Thinking about it was making my blood pressure go up. Just the very notion that we were going to take a bus across the Iran-Iraq border was stressing me out, that we were taking our children with us was another order of magnitude of stress in itself. My charming husband was still smiling. 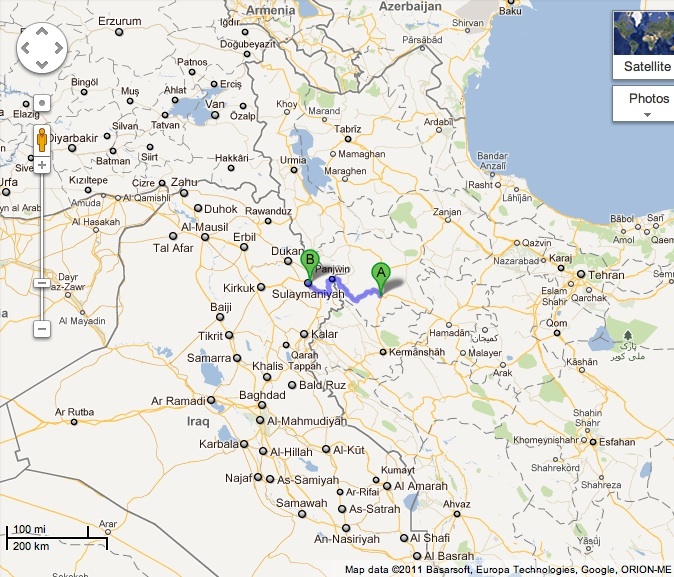 He’d been hooked on this idea of cutting across Iraq (into Turkey) since the folks from itsonthemeter.com had described this route to us a couple of weeks earlier in Yazd. Initially, I’d said no. Flat-out, no way, absolutely not a chance. 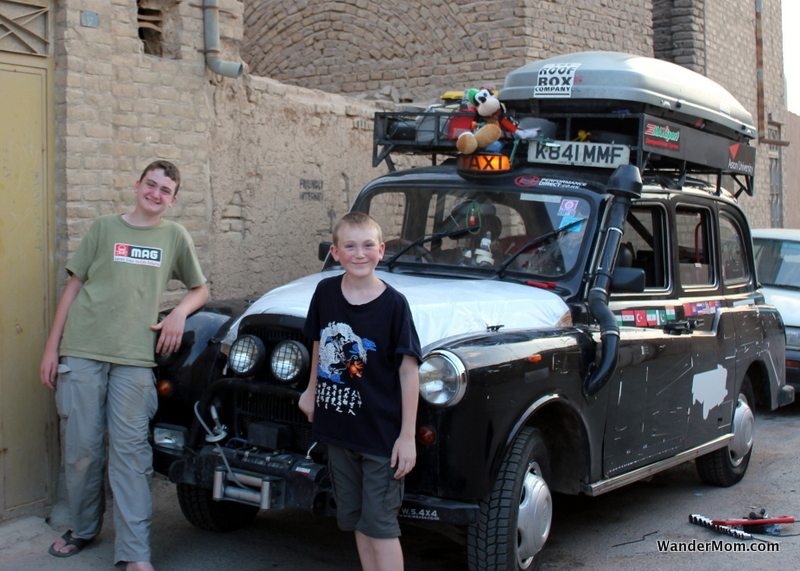 CAM, our very reluctant traveler had surprised us both with “Iraq? Now that would be a cool thing to tell my friends back home”. BigB was with me. He and I thought we’d leave Murph and CAM off on their madcap meander through a war zone and we’d just take the easy route to Turkey through Tehran. And now here I was, with four bus tickets to a city in Iraq I’d never heard of before in my hand. So how had this miraculous transformation occurred? Firstly, there was the weather. I read a phrase somewhere which described Southern Iran in the summer as a place for only “mad dogs and Englishmen”. I’d change that slightly to all of Iran in the summer. Or at least all of Iran that I’d visited. It had been 45C in Tehran, almost 50C in Yazd and Shiraz. Irish people are not designed for such temperatures. Secondly after nearly three weeks in Iran nothing, not even transiting through Iraq, seemed too outlandish any more. We’d done it. We’d ventured into this historic, enigmatic, vilified and feared country and found it all so very, very normal. OK, headscarves and fashion police excepted, but once I got used to the dress code it didn’t seem so important. From this perspective Iraqi Kurdistan positively beckoned: “Come check me out, you’re going to be even more surprised”. At 6am the next morning the taxi picked us up to take us to the bus station where we waited and waited and waited. 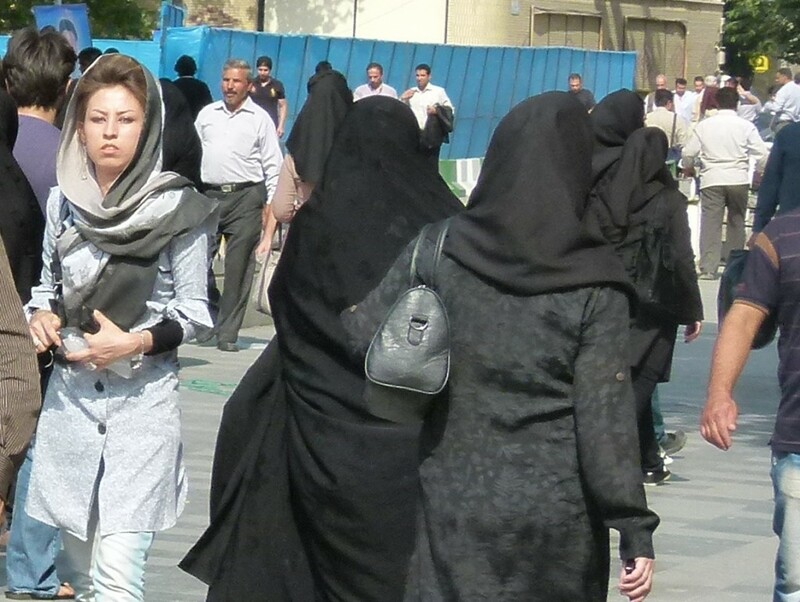 We even wondered if we’d been scammed although that idea we discounted pretty much immediately since it was so at odds with the reality we’d experienced to date in courteous, welcoming, polite and safe Iran. 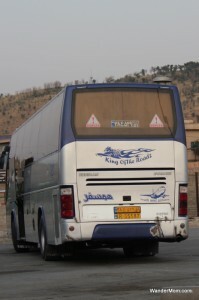 We climbed onto a serviceable but not luxurious coach about two hours later. Us, another western-looking couple and about a dozen other people, mostly male. “No going back now”, I thought. 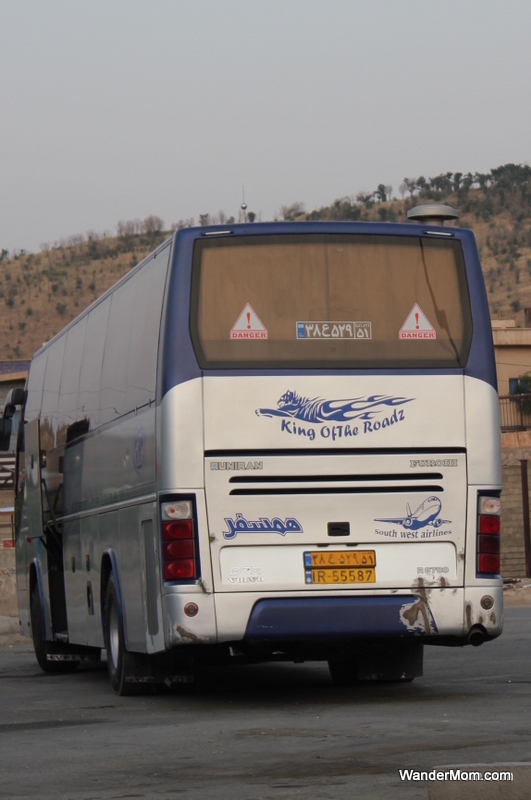 On the outskirts of Sanandaj the engine started grinding as the bus began to climb up into the higher reaches of the Zagros Mountains. And then it just stopped. The driver disappeared outside. Finding out what was going on wasn’t an option so we just sat tight and waited. The locals got off and stood around smoking and watching whatever it was that the driver was doing. Cheshire-Cat-Man wasn’t grinning but was confidently telling BigB, “Not to worry, we’ll be off again in a moment”. In the realm of absurd and surreal family travel situations I was pretty sure this was in a special class of it’s own. I actually had to suppress nervous-Nellie giggles. But a rush of quickly stubbed out cigarettes from the peanut gallery told us that the driver was on his way back into the bus and then we were off again. This entry was posted in International Escapades, Iran, Iraq and tagged Iran, Iraq, Sanandaj on October 20, 2011 by wandermom.